HIT’s smart materials are designed to “heal” themselves when punctured. More than half of the company’s jobs are supported by international business. What happens if you have a fuel container and it gets punctured? You’re probably going to lose your fuel. Depending on what punctures your container, you could also have an explosion. Unless your fuel container is made of “smart” materials, like the materials developed by Oregon-based High Impact Technology, or HIT. Results look like magic as the company’s smart materials seal up bullet holes before contents can spill and catch fire. HIT also makes treatments to protect power plants from everything from storms to terrorist attacks. More than half of HIT’s employees work on the international side of the business, so exports have been crucial for the company. HIT has also worked with the International Trade Administration’s (ITA) Commercial Service office in Portland, Ore., to expand in global markets. HIT Director of Operations Russ Monk discussed how business is going with Doug Barry of ITA’s Global Knowledge Center. Barry: You became an exporter via the U.S. military, which is not an uncommon channel for smaller companies that work with the U.S. Commercial Service. Monk: That’s right. We monitor U.S. government procurements and we spotted one for the Department of Defense a number of years back. At the time, enemy attacks on fuel convoys coming into Iraq was problem number one on the planet for the Department of Defense. We were invited to demonstrate our solution and selected two weeks later. Barry: What is the chemistry behind your solution? Monk: Resins are mixed under very high pressure to form a urethane coating. It also has a reactive chemistry in the matrix. Simply put, an internal cork is formed to prevent the flammable liquids from leaking out and igniting. We hold half a dozen patents on the process. Our main mission is to protect soldiers. We won’t make things that harm people. Barry: What other customers do you have? Monk: We sell to Germany, Canada, and Russia. We will ship soon to Singapore and the United Arab Emirates. We’ve had a request for quotes from Turkey and the United Kingdom. Barry: How important are international sales to your business? Monk: Hugely important. Thirty-percent of our sales are international. More than half of our 40 employees, including supply chain jobs, work on the international side of the business. When our infrastructure barricades get rolled out, we expect to expand in all markets. Barry: What kinds of assistance have you received from the government? Monk: You really help small U.S. companies like ours. Trouble is you’re a best kept secret. Maybe I shouldn’t share you, but I do. We rely on you to introduce us to new markets. When the U.S. Commercial Service folks at the Embassies join us in meetings with government officials in, say, the United Arab Emirates, it really makes a difference. We get instant credibility from the host government. We attend seminars at the local Export Assistance Centers—on export controls and regulations. They’ve been invaluable. And we’ve taken advantage of the STEP grant—federal funds administered by the State of Oregon that helped us attend an international trade show. Barry: Thank you for helping us become less of a secret. What’s been the biggest lesson for you in going global? Monk: Have patience. It takes time to learn the business culture. It’s easy to get spoiled if you deal just with other Americans. When you operate globally, you need to have a long horizon. We could speed things up by paying bribes in countries where it’s a common practice, but we won’t do it and never will. Good technology trumps graft. That is the (American) advantage. The Commerce Department represents some of the best taxpayer dollars spent and has greatly enhanced our offering to the world. Curt Cultice is a Senior Communications Specialist in the International Trade Administration’s Commercial Service. 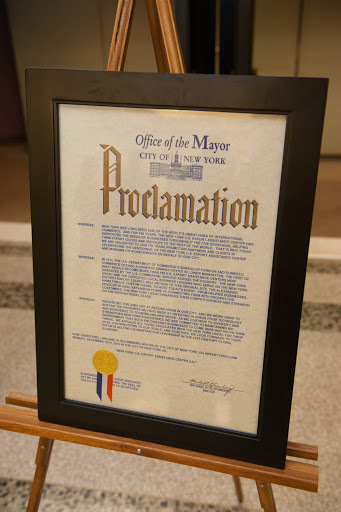 An official proclamation from New York Mayor Michael Bloomberg declared Dec. 16 as “NY U.S. Export Assistance Center Day,” in honor of 100 years of export assistance in the city. Last year, the New York City metro area exported $102.3 billion in merchandise exports to world markets, making it the 2nd largest metropolitan export source in the United States. The NYC event, hosted by the New York District Export Council, also highlighted the importance of exporting through a panel discussion moderated by Deputy Assistant Secretary for U.S. Field Operations Antwaun Griffin, with an array of award-winning exporters participating. Many of the companies were previous Presidential “E Award” or U.S. Department of Commerce Export Achievement Certificate awardees who have benefitted from local U.S. Commercial Service Export Assistance Center services in their export endeavors. Helene Herman, director of global marketing for Brooklyn-based Lee Spring, a manufacturer of wire springs, said at the event that the International Trade Administration’s Commercial Service as being of the “best kept secrets” in business and that more businesses should take advantage of the many export services offered. Lee Spring currently sells goods worldwide and has utilized a range of export services. “Overseas clients often have a perception of American products as being higher quality,” she said, noting her company’s success in China as one example. 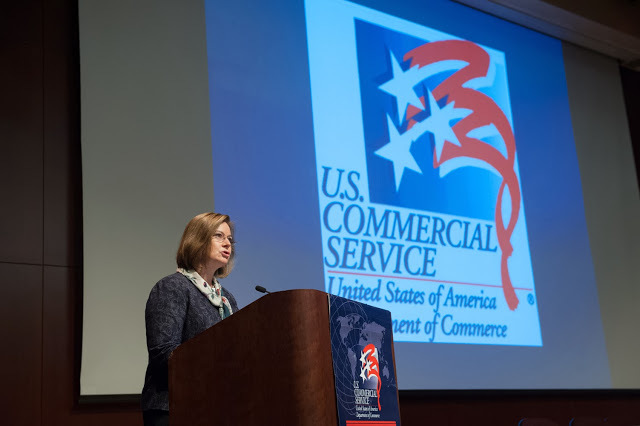 Acting Director General of the U.S. and Foreign Commercial Service Judy Reinke reminded New York business leaders that exporting can be an important way to increase revenues. Among the companies represented and benefitting from export assistance was family-owned Love & Quiches Gourmet of Long Island, which has utilized export counseling and Export-Import Bank financing to sell its gourmet foods to multiple world markets; The Jump Apparel Group of Manhattan, which is marketing its innovative dress and sportswear line of clothing in more than 20 international stores and home shopping networks; and Lumi-Solair, which recently made its first international sale, supplying renewable, grid-free power equipment to India. The sale enabled the firm to sustain local NYC jobs. Exporting is more beneficial than ever, even for the smallest businesses looking to strengthen their bottom line. This was further demonstrated by the entrepreneurial spirit at the event’s “International Trade Showcase,” where program attendees perused the products and services exhibited by 20 successful local exporters – selling everything from hop extracts and oils, to wire springs, hydraulic technology, language software, and export management services, to name a few products. Chris Higginbotham is a Communication Specialist with the International Trade Administration’s Office of Public Affairs. Health care businesses in the Pittsburgh area go to Deana Shick if they have questions about exporting their products. So do plastics companies. So do apparel companies. And so do chemical companies. “We will help any American business in any sector – whether it’s veterinary equipment or ballistic glass or water sanitation,” Shick says. The “we” she refers to is the International Trade Administration, or ITA. 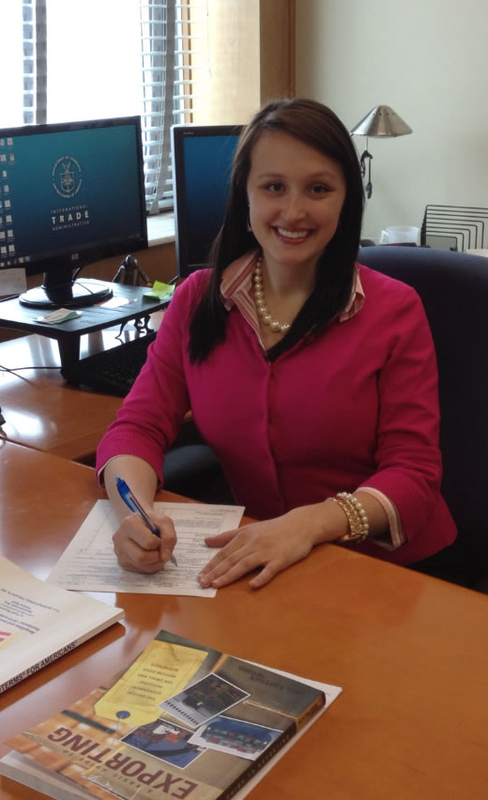 Shick is an international trade specialist in ITA’s Pittsburgh office, where she helps primarily small- and medium-sized businesses in the area learn how to compete on the global market. ITA supports the Obama administration’s mission to grow U.S. exports under the National Export Initiative. This help doesn’t just exist in Pittsburgh. ITA has more than 100 offices in the U.S. and in 70 countries around the world. Businesses can contact these offices to get help from experts in fields varying from aeronautics to agriculture, electronics to textiles. ITA’s help doesn’t just exist in these offices either. Shick teamed up with Matthew Hein, an international trade specialist at ITA’s headquarters in Washington, DC, to host a webinar for the Micro-Electrical Mechanical Systems (MEMS) Industry Group back in January (view a replay of the webinar ). The MEMS Industry Group (MIG) represents companies in the MEMS field and provides access and connections for member organizations to traditional and emerging markets. “The International Trade Administration’s webinar provided invaluable information on their products and services to MEMS Industry Group’s members,” said Karen Lightman, Managing Director, MEMS Industry Group. “The small to medium-sized enterprises among our 140-plus member companies that have limited exporting experience will gain access to a ready and willing partner that can help them succeed at exporting,” Lightman continued. No matter how small your business or obscure your product is, ITA is uniquely suited to help you create or increase exports. Whether it’s helping you make contacts in foreign markets, conducting research about potential buyers or helping you understand foreign shipping, ITA’s specialists are ready to assist. “My favorite part of this job is seeing small- to medium-sized businesses make their first sale overseas and they’re able to add a couple of jobs down the line,” Shick says. It’s a part of the job everyone at ITA enjoys. So how can we help your business or industry increase exports and create jobs? Contact one of our trade specialists in your area to find out how ITA can help your business succeed. 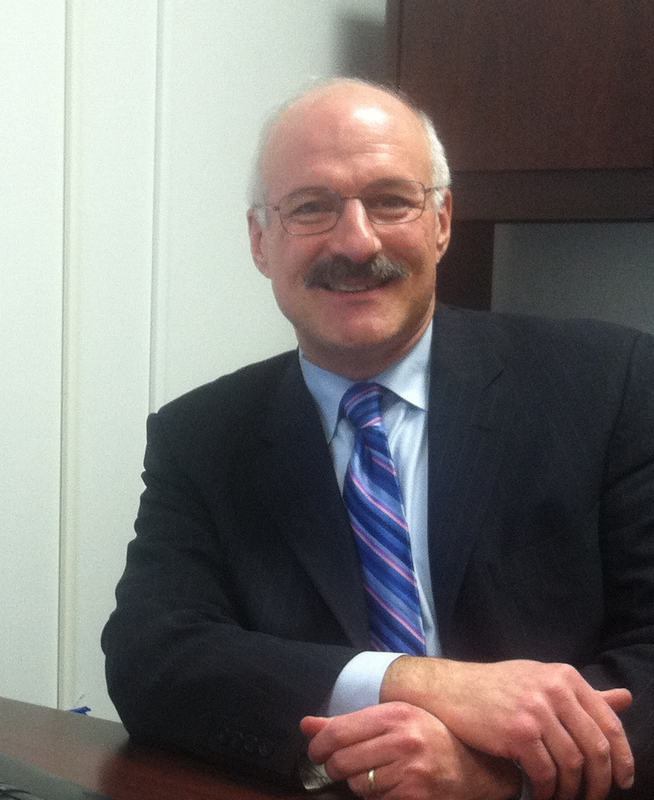 Jim Cramer is the Deputy Senior Commercial Officer at the U.S. Embassy in Tel Aviv. He and his colleagues promote U.S. exports to the Israeli and Palestinian economies, with particular emphasis on small and medium sized American companies. What a day. We kept Congressman Joe Courtney and the entire delegation running at full speed. At 8 a.m. sharp, Joe and a handful of Connecticut defense companies went to the Israeli Ministry of Defense for a meeting to promote their products. Connecticut’s high tech defense sector is a perfect match for Israel’s security needs. While Joe and the group were busy at the Ministry, our other delegates started their jam-packed Gold Key schedules. Getting these schedules organized was a lot of work, but we had great help. Anne Evans, Melissa Grosso and the entire team from the Middletown U.S. Export Assistance Center were fantastic. The Commercial Service Israel understands how to do business in Israel, and Anne and Melissa know the needs and challenges facing Connecticut’s exporters. Working together we really arranged some amazing schedules that targeted in on specific client needs. Great job Anne & Melissa! Congressman Courtney kept running all day. Following his morning meeting he was interviewed for a Connecticut radio show and had lunch with 2 of Israel’s top entrepreneurs. While Connecticut and Israel may both lack natural resources, each makes up for it through smarts and entrepreneurial spirit, so today’s lunch was a perfect fit. Joe rejoined many of the delegates after lunch for a briefing on opportunities in Israel’s security and medical sectors put on by our partner, the Israel Export and International Cooperation Institute. All of these activities were great, but what we are really about is returns. And today we heard that one of the delegates may have made a multi-container sale to an Israeli distributor. Some final negotiations are going on tomorrow, and I don’t want to jinx it, but I feel great about accomplishing something like this in such a short period. I followed up with a lot of the delegates during tonight’s fantastic networking event at the Ambassador’s residence. One delegate whose schedule was managed by our senior specialist Irit van der Veur couldn’t believe how perfectly tailored his meetings were. Another thanked me over and over again for the help CS Israel had provided, and a third company couldn’t stop complementing the work Christina Azar in our office did for them. What a team! Everyone seemed exhausted and exhilarated from what they were able to accomplish during this first day of meetings. I can’t wait to see them at dinner tonight to hear about the success they’ll find today! Congressman Joe Courtney and his trade delegation arrived to Israel without a hitch today (April 6). The entire group got together tonight to review their schedules with our commercial specialist staff and to be briefed on the Israeli economy. For those companies taking advantage of our Gold Key matchmaking service, our office was able to set up over 70 business-to-business meetings. Many of the companies saw such a demand for their products that they are meeting with 5 – 7 Israeli companies each day for two days. What a success! During tonight’s get together our office’s senior commercial officer, Jonathan Heimer, spoke about the opportunities Israel’s fast moving and innovative market provides American companies. Our good friend Tamar Guy, Executive Director of the Israel-America Chamber of Commerce & Industry also spoke, and with good humor and grace gave the delegation an inside view of Israeli culture. And luckily, we were all together to celebrate Congressman Courtney’s birthday. Happy birthday Joe! As you said, getting such a great delegation together that will bring jobs to Connecticut is one heck of a gift. Wednesday is going to be a busy day. Our Gold Key companies begin their b2b schedules and Congressman Courtney will also be shuttling about the Tel Aviv area for meetings with Israeli business and government leaders. We have a networking event tonight at our Ambassador’s residence; we are keeping everyone busy! This mission really exemplifies the power of President Obama’s National Export Initiative. It brings together the resources of the U.S. government and the private sector to find success and profit via exports. Thanks to the Connecticut District Export Council for their support and Anne Evans of our Middletown U.S. Export Assistance Center for her help. What a way to bring the NEI to Israel! Stay up to date on this trade mission via this blog. If you would like any further information on the Israeli market, the best place to start is our website, www.buyusa.gov/israel.